Led by Keystone Associates VP and Senior Career Management Consultant, Mary Cavanaugh, this presentation will address the basic principles of negotiating compensation within one's firm. * Assess what is important to you in your career - compensation increase? new role/promotion? * Learn how to determine your market value. * Develop language and confidence around negotiation techniques. * Review and discuss the stages of the negotiation process. Mary Cavanaugh advises mid to senior-level managers, executives, and professional individual contributors who are in career transition. 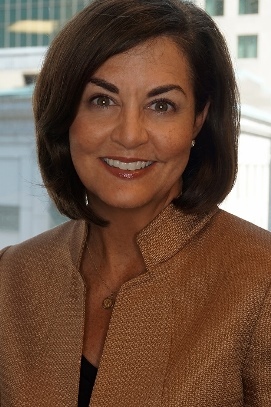 She also serves as Keystone’s Site Lead to the team of consultants in Boston, bringing insight and support in career coaching, resume development, networking and interviewing preparation, program implementation and management, and customized career planning. A Certified Master Career Consultant through Career Partners International (CPI), Mary’s professional background also includes over 20 years of corporate experience working as a Senior Human Resource professional in the High Tech, Biotech, Government Contracting, and Professional Services industries. In-depth career assessments, one-on-one coaching, and a unique perspective on successful interviewing techniques has prepared her clients for both a career search or new career transition. Mary received her Bachelor of Arts degree from Boston College.